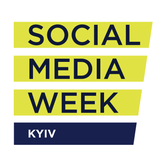 Social Media Week is an independently organized event which will be held in Ukraine for the first time. This year the global #SMW theme is ‘Closer’. We will dig deep into what it means to be globally connected living here and now in a very disconnected society. It is a two day event that will cover some of the best case studies — the success and failures in communications, marketing and social media. You will learn from top level international and local professionals, and have the opportunity to discuss and challenge their experiences and achievements. You will have a chance to network and meet new people throughout the event. We will also host two fun after parties to bring everyone closer together.